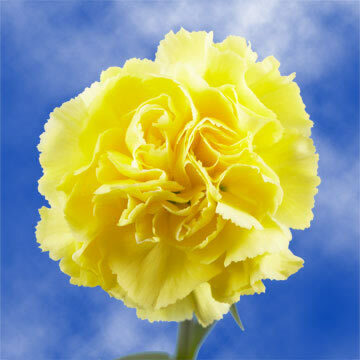 Yellow Carnations grace USA with pure bliss. Copious ruffled petals undulate flawlessly to create a stunning labyrinth bloom. 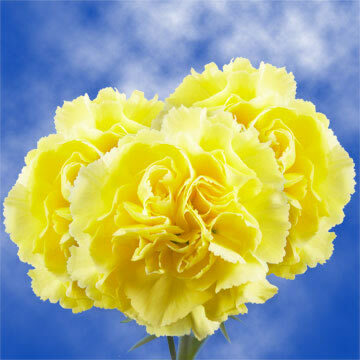 Amid one another in bouquets, They whirl elegantly to boast an exquisite grandeur of illuminating blooms. 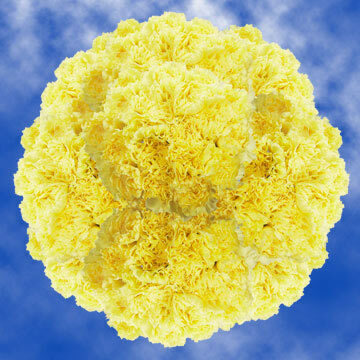 Gleaming off each yellow blossom in a contagious uplifting spirit in which can be attributed to its color, as yellow is know to stimulate inspiration, optimism, hope, and cheerfulness. Lighthearted they are perfect to relish over anytime of the year, but displaying them around your home during months of gloomy weather is an excellent way to bring brightness back into your days. Lavish outdoor weddings in any season with them as their illuminating blossoms will accent exquisitely the flourishing foliage in the summer, and the colored leaves in the fall. 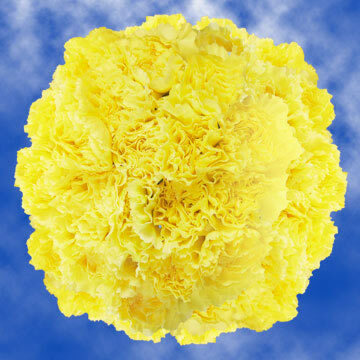 Let your new graduate know how proud they've made you by gifting them with Yellow Carnations; the creative and enthusiastic energy exuding from the blossoms will further inspire them to continue down the road to success. During any occasion, in any season-summer, spring, winter, or fall, sunny this product will cheer spirits, brighten eyes, and widen the smiles of all! At Global Rose, we pride ourselves in offering you the freshest florets possible, so we cut your blossoms just days before they arrive at your door. 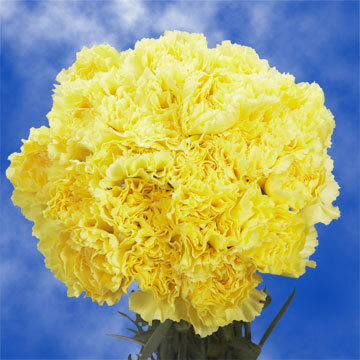 Your carnations will arrive in buds which take 3-4 days to bloom, allowing more time for your enjoyment, so please be sure to place your order accordingly. Also, please note that color tones for all products may vary due to monitor screen, and of course, Mother Nature.